The founder, Ōmori Shigemitsu (1693-1726), was a pupil of the first Yasuchika and of Nara “Miidera” Masayoshi. His nephew Terumasa (1704-1772) studied under Yokoya Sōmin I, and the numerous artists connected with the school betray a leaning towards the styles both of the Yokoya (not katakiri) and of the Yanagawa. 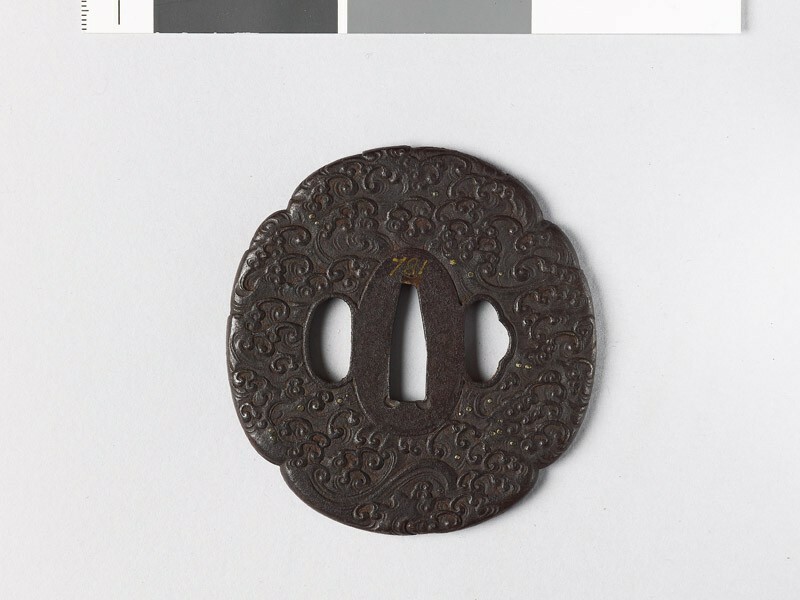 Among some nine or ten pupils of the Terumasa was his nephew, the famous Ōmari Teruhide (1729-1798), who himself taught five of his own sons and a number of noteworthy pupils, including Chidzuka Hisanori, a samurai of Mito and a skilful worker. 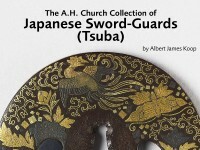 Teruhide is credited with the invention of the “Ōmori wave” with its curling undercut crests, and the gold nashiji inlay of haze recalling the lacquer technique of that name. 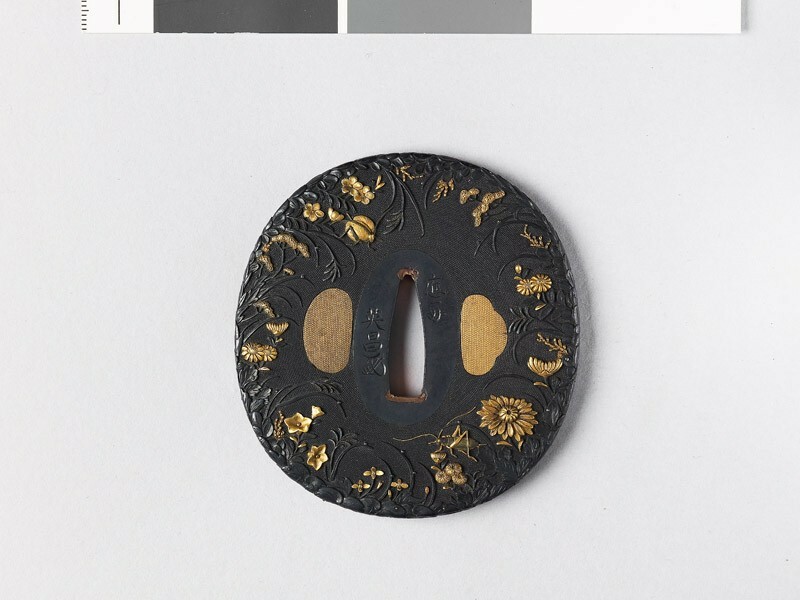 The large open peony in silver with gold centre is also a characteristic feature of Ōmori work.